5209 Linden Street, Bellaire, TX 77401 | Martha Turner Sotheby's International Realty, Inc. 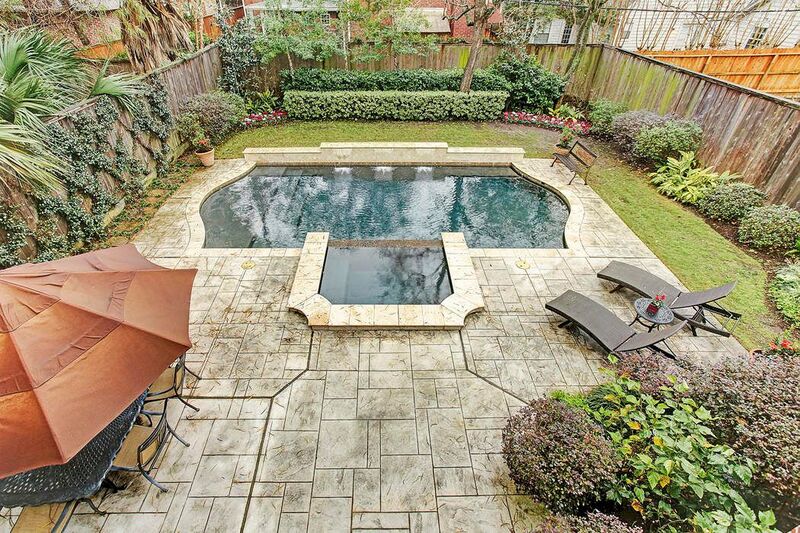 This gorgeous backyard oasis at 5209 Linden features a large backyard with beautiful pool and spa. The lushly landscaped yard features a mosquito system and is perfect for the kids to swim and for wonderful weekends in the sun. 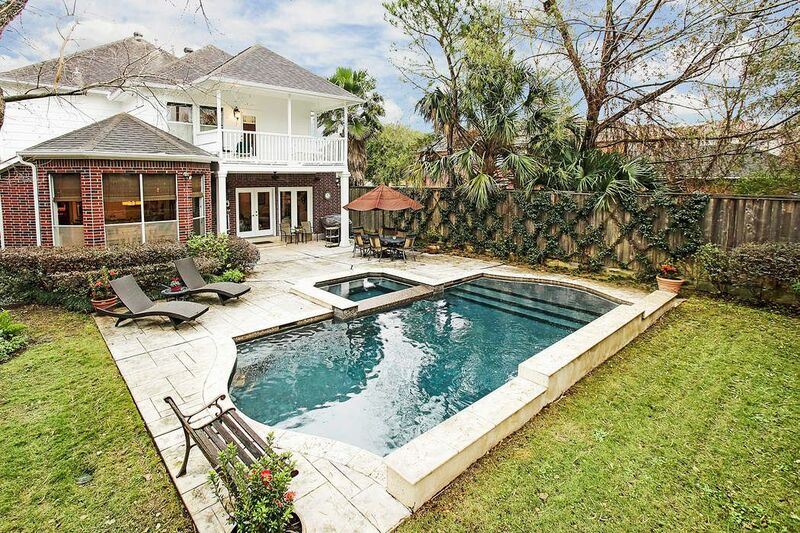 Welcome home to 5209 Linden in Bellaire. 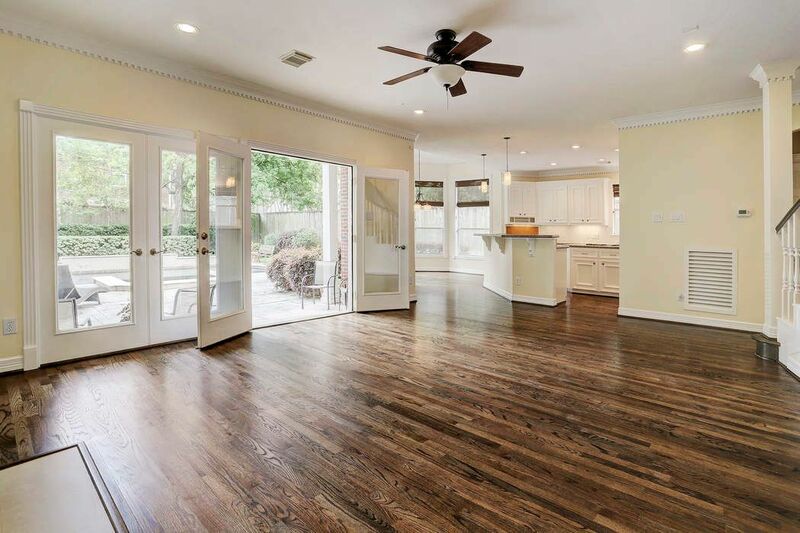 This beautiful home sits on a 7000 square foot lot (per HCAD) and is 3239 square feet (per HCAD). It features 4 bedrooms and 3.5 baths. Another view of the exterior elevation of 5209 Linden in Bellaire close to the Medical Center, Downtown and the Galleria. 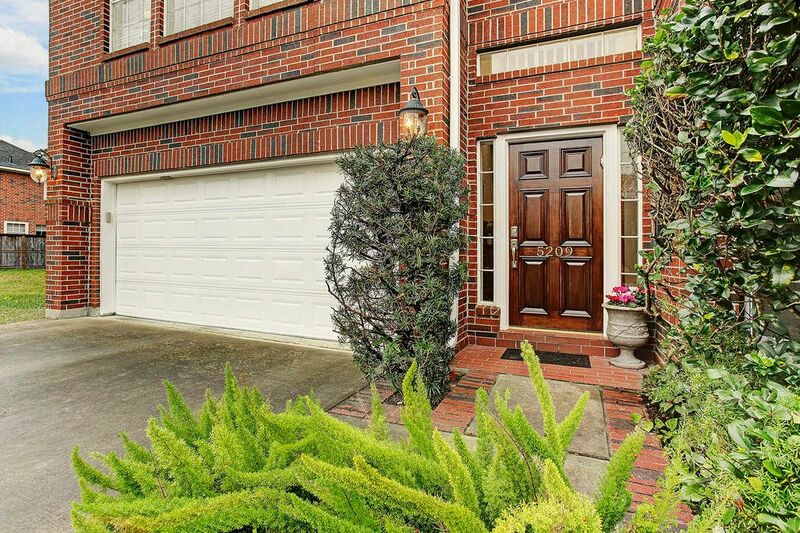 Wonderful schools and a variety of parks and recreational facilities nearby. View of the entry into 5209 Linden. Beautiful entry with solid wood front door and transom. 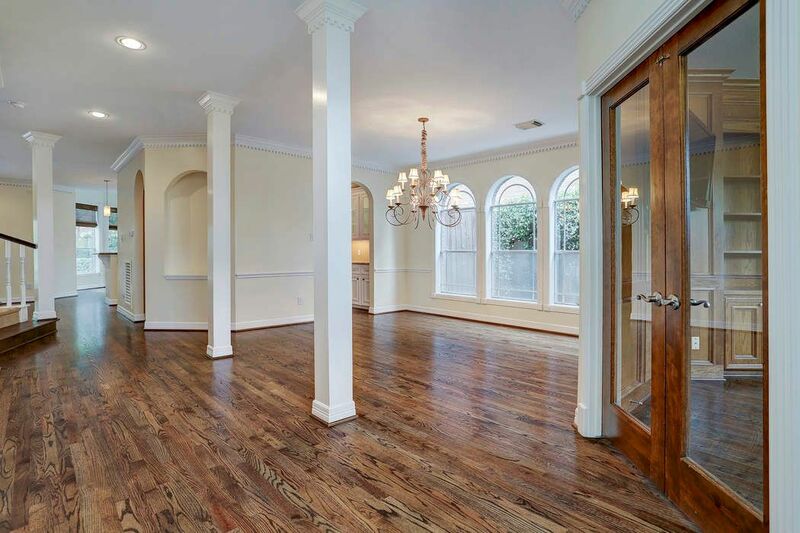 This is a view of the vacant dining room complete with plenty of light and arched windows, refinished hardwood floors, gorgeous chandelier and adjoining Butler's pantry. 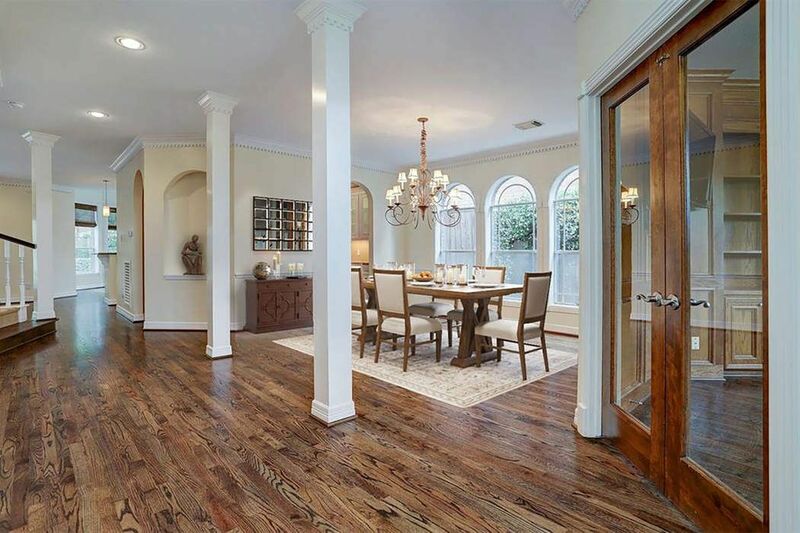 This picture is virtually staged to see the possibilities of what a gorgeous dining room you will have for special dinners with your family or closest friends. It is the perfect room for entertaining. Another view of the dining room looking towards the front entry of the house. 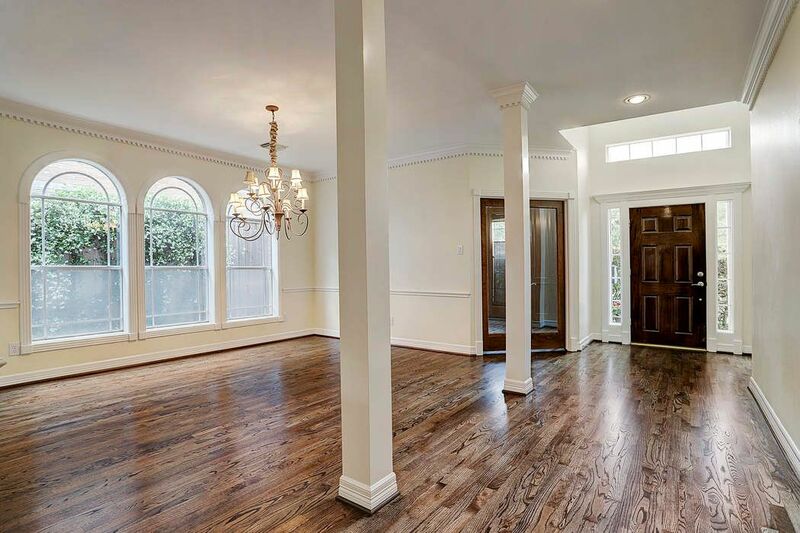 Notice the beautiful moldings and how light and bright the home is. 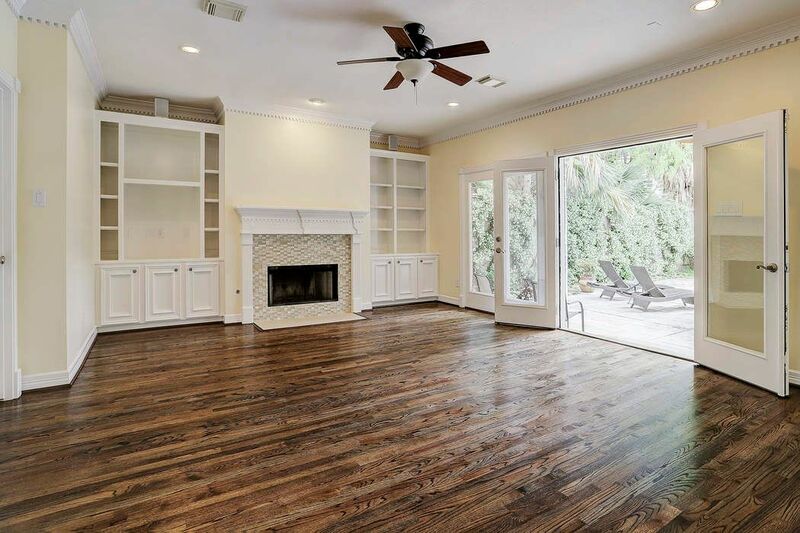 View of the vacant den with wood burning fireplace and designer tile surround, French Doors to pool, custom built ins and refinished hardwood floors. View of the virtually staged den right off of the kitchen. See the wonderful possibilities of what this room could look like when you make this fabulous home your own. Another view of the den looking towards the entry way and sweeping staircase. View of the den towards the kitchen and breakfast room. Open floor plan perfect for family functions and unbelievable view to the gorgeous backyard. View of the breakfast room perfect for your morning and evening meals with the family. 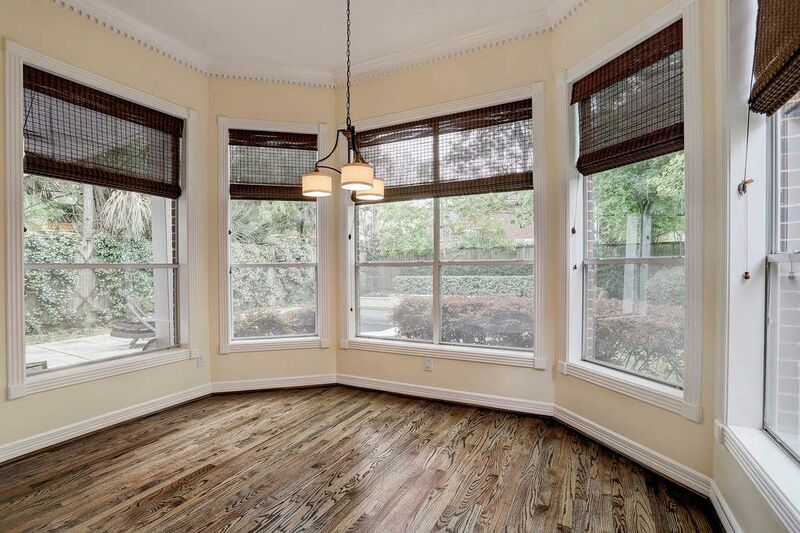 It is a wonderfully light and bright room with plenty of windows, refinished hardwood floors, chandelier and custom moldings. 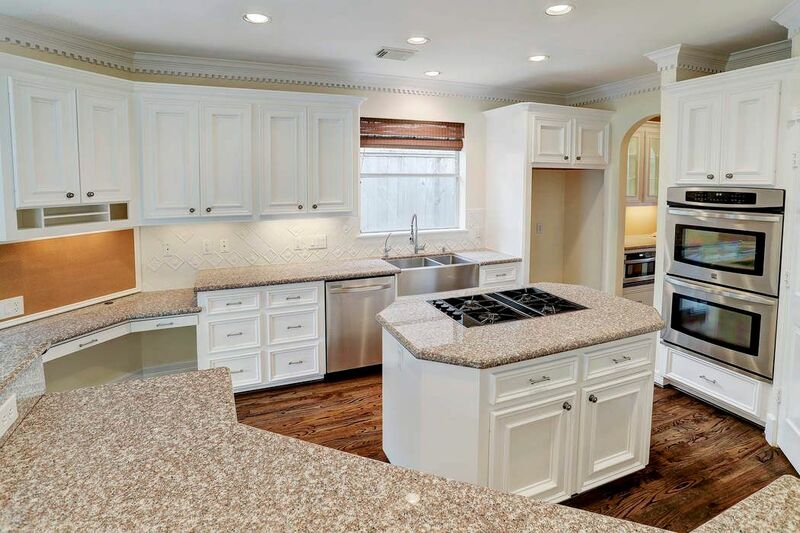 Another view of the kitchen that also includes double stainless ovens, large pantry, refinished hardwood floors and adjoining Butler's pantry. 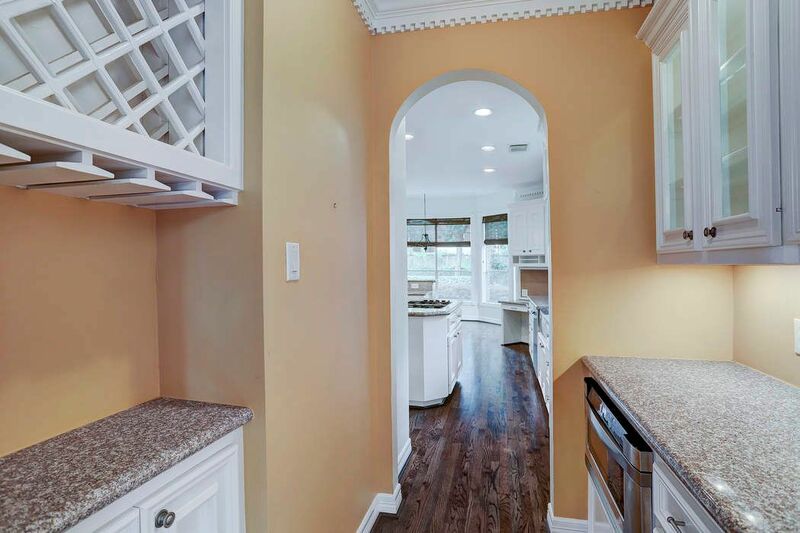 View of the Butler's pantry with granite counters, wine storage, glass cabinets with custom lighting and refinished hardwood floors. 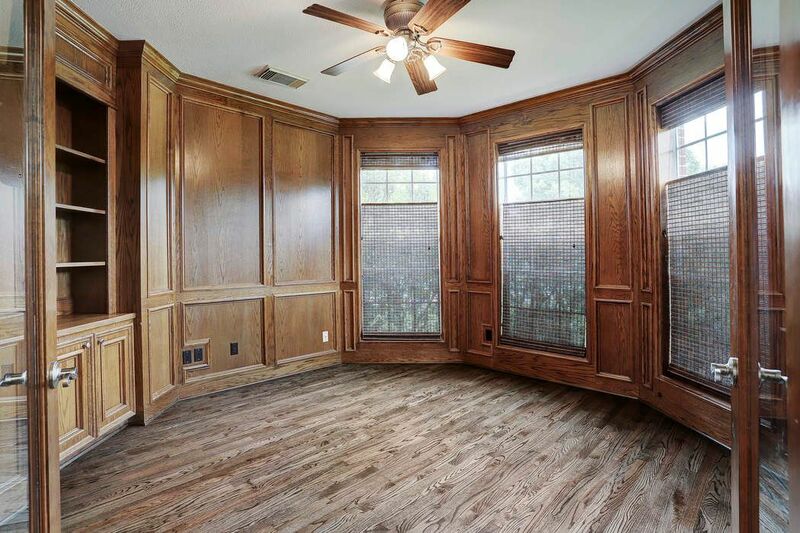 View of the vacant study with stained custom wood paneling walls, built in cabinetry and shelves, double glass French doors, refinished hardwood floors and ceiling fan. 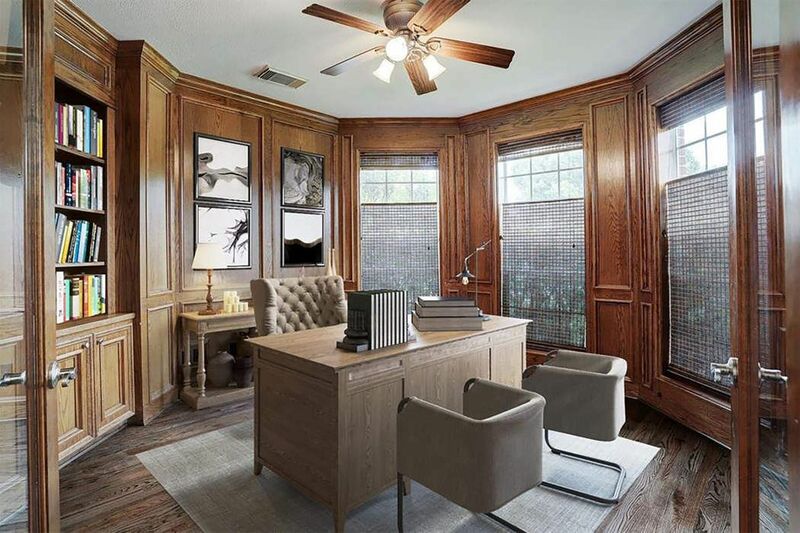 This picture shows the handsome study virtually staged and the wonderful options you would have for a really nice office space. 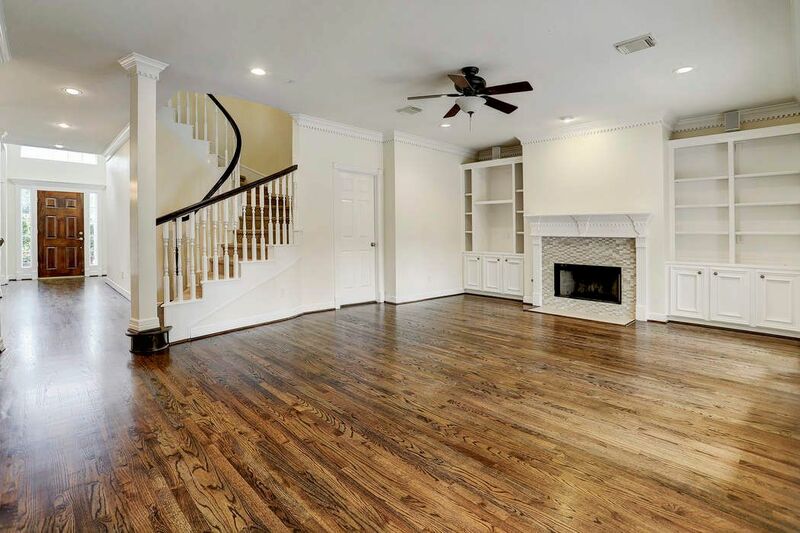 Downstairs half bath with custom lighting, built-ins and refinished hardwood floors. 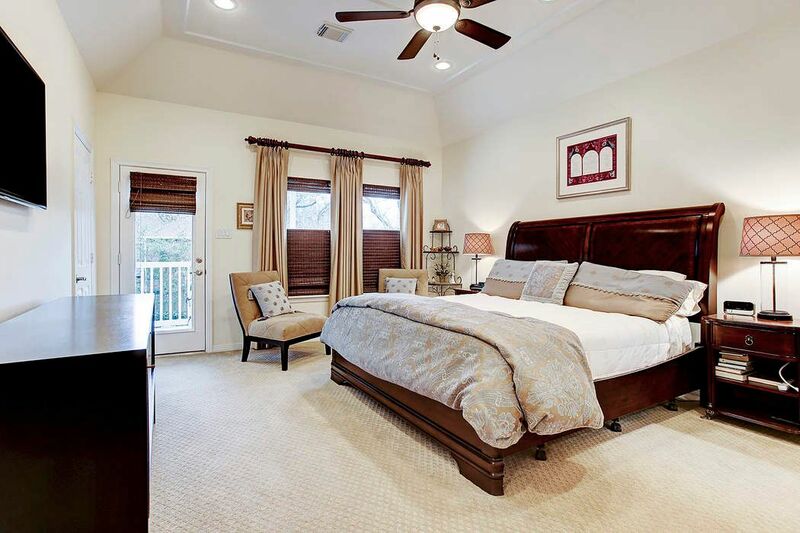 Wonderful master bedroom with coffered ceilings, double closets and balcony perfect for your morning coffee or relaxing while reading a book. 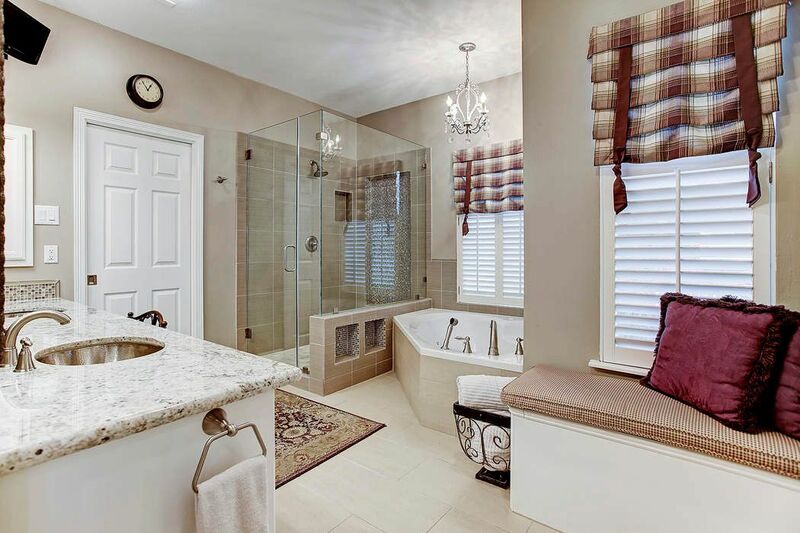 Luxurious master bath with granite counters, hammered sinks and upgraded faucets, whirlpool tub and seamless glass walk-in shower. Beautiful tile floors and window seat. 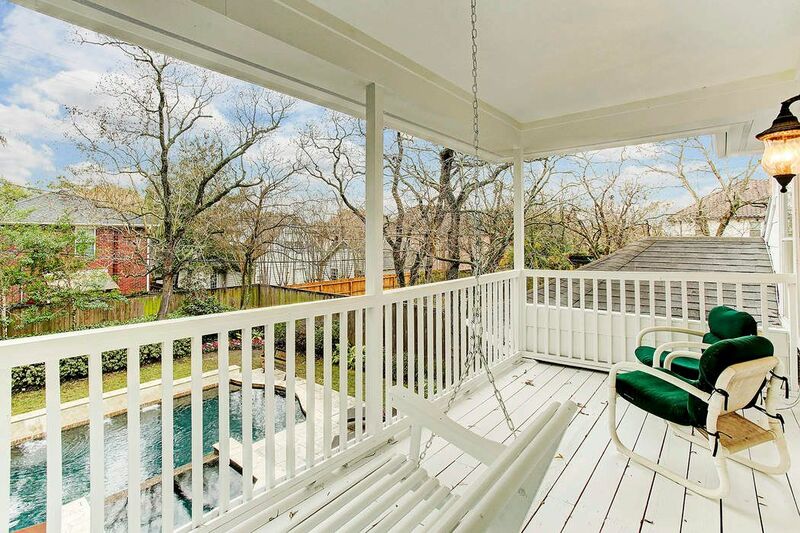 View of the wonderful balcony perfect for relaxing as you view your beautiful backyard with pool and waterfall. 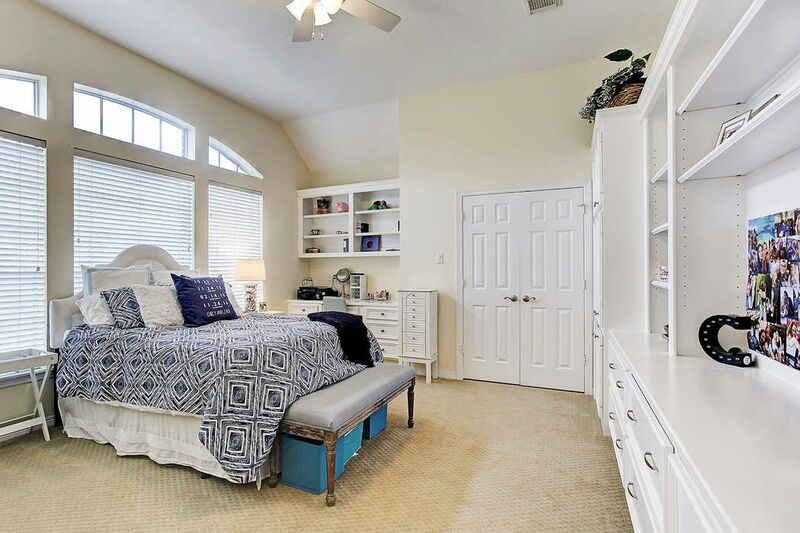 This large room includes custom built-in and custom desk area, high ceilings and large closet. See the following three options for this room. OPTION 2: Another virtually staged view of the previous room as a beautiful bedroom. What wonderful options you have. OPTION 3: Why not have all options in one room. 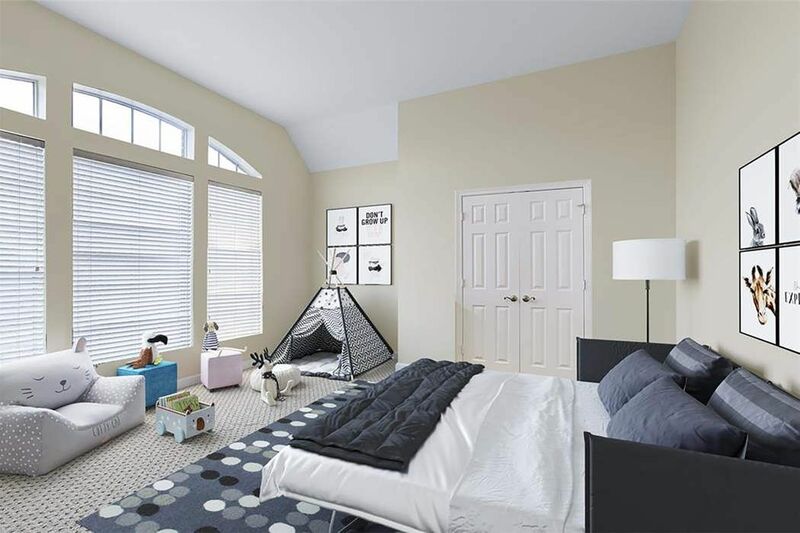 This room could be both a bedroom for guests with a sleeper sofa and a playroom for the kids to play in. 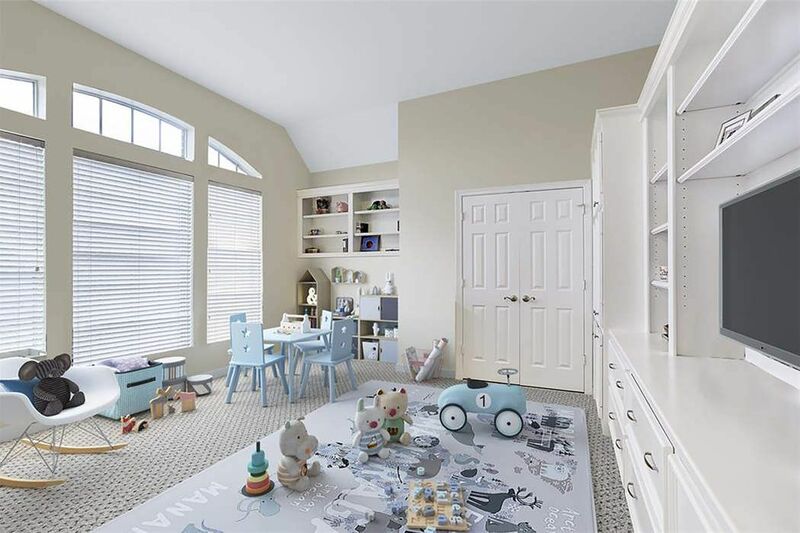 Very versatile room with many options. You pick the one you like best!!! 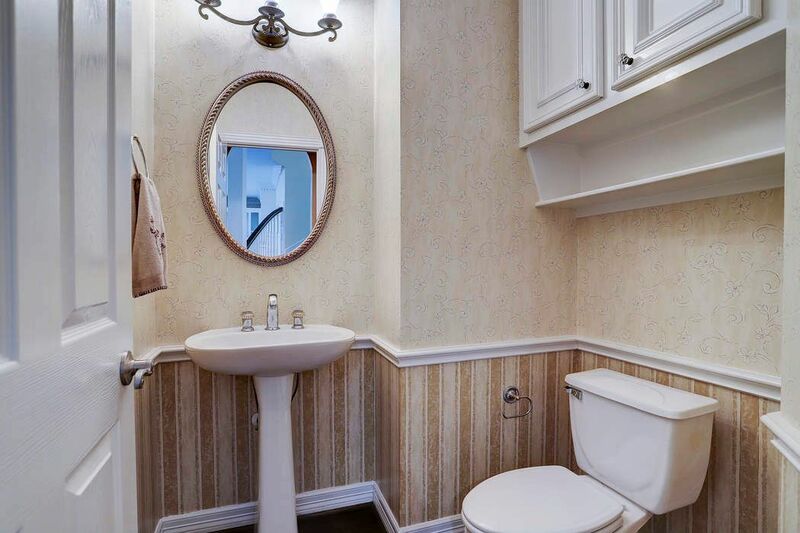 Secondary Jack and Jill bathroom. 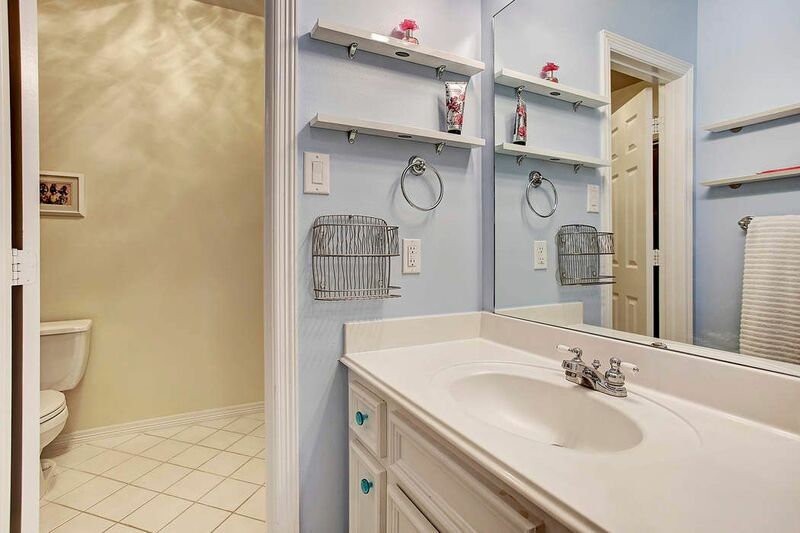 The laundry room is downstairs and includes tile floors, sink, mud area with custom storage and plenty of cabinet space. 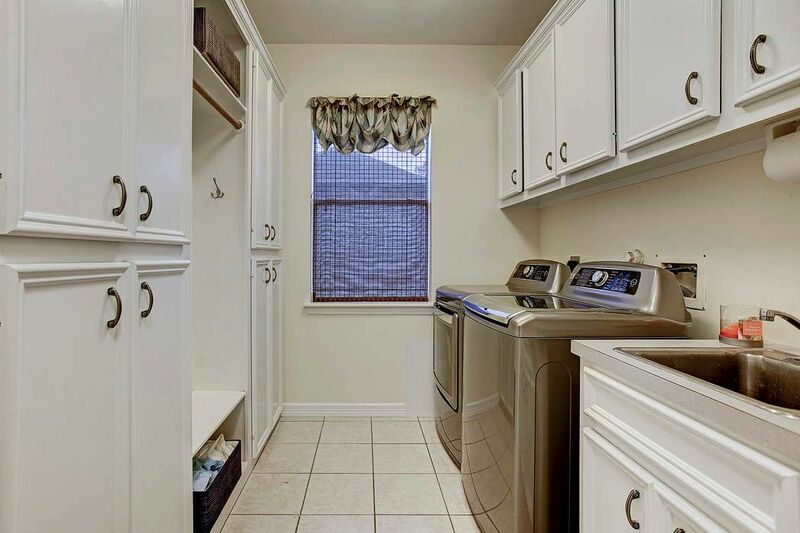 The laundry/mud room adjoins the two car garage with plenty of storage and cabinetry. Another view of the stunning backyard. Very private and your family will love spending many hours outdoors enjoying this pool and spa. 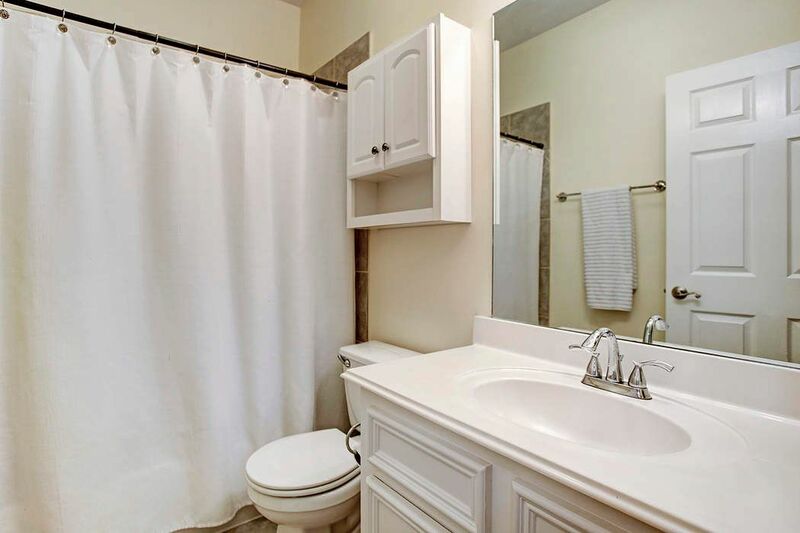 $819,000 4 Bedrooms3 Full / 1 Partial Baths3,239 sq. 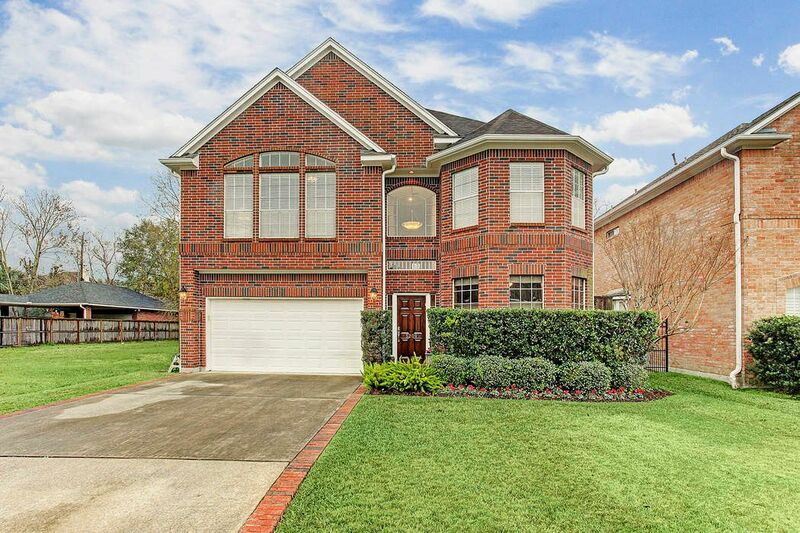 ft.
Beautiful Bellaire home with large entertaining spaces. Handsome wood paneled study, large dining room with butler's pantry and wonderful den with custom built-ins and fireplace. 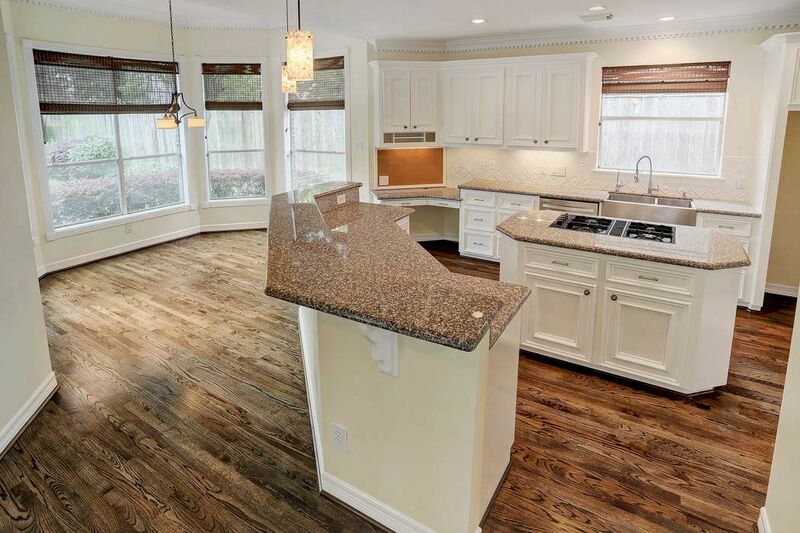 Chef's kitchen includes stainless appliances, large island, granite counters, double ovens and plenty of storage space. 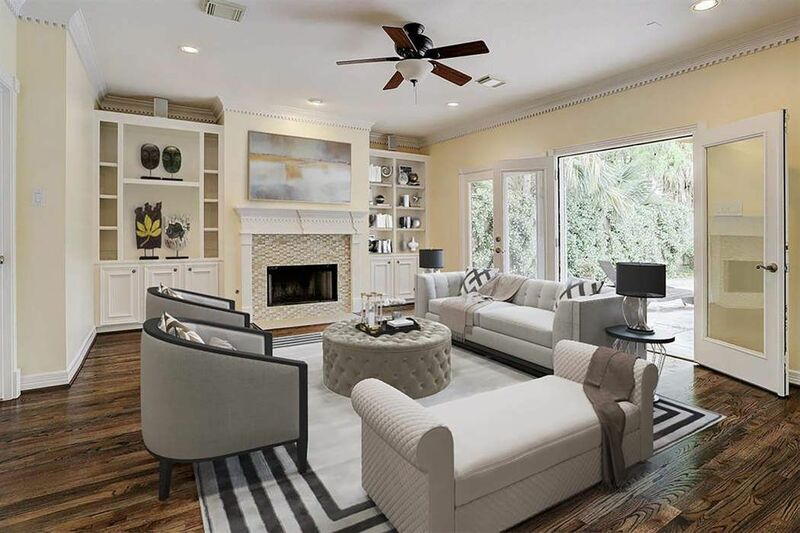 Gorgeous master retreat with balcony overlooking backyard and luxurious bath including walk-in closet, granite counters, double vanities, separate shower and whirlpool tub. 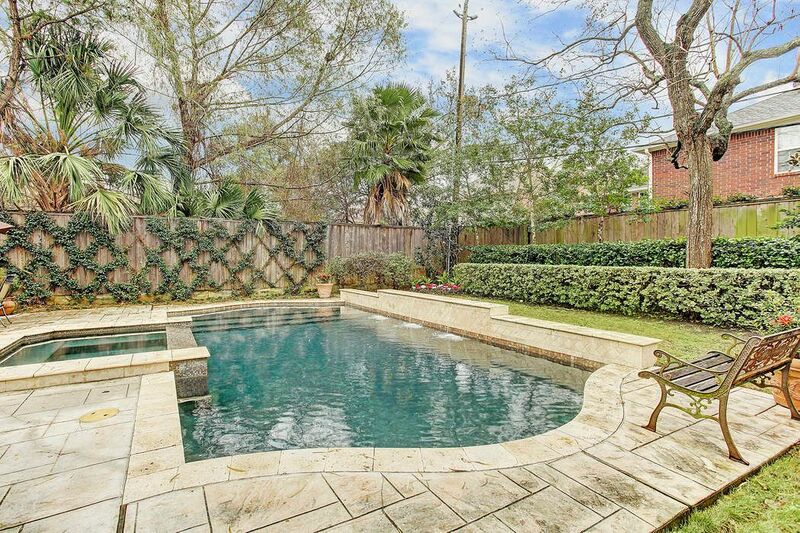 Lush landscaped backyard with wonderful pool and spa perfect for entertaining. Hardwoods downstairs. 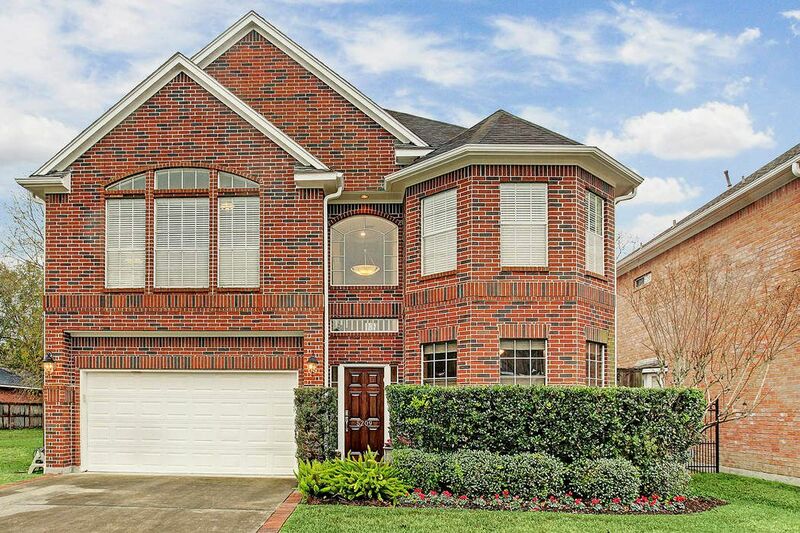 Close to the Bellaire Recreation/Aquatic Center.